Besides Donald Trump’s tweets, no issue stirs more debate in the U.S. these days than immigration. We cannot even agree on a name for the millions of immigrants—largely Latino—who cross into the U.S. outside of the legal process. Labels for these people range from “undocumented immigrants” to “illegals” depending upon one’s perception. The intense debate within the U.S. over immigration is largely about two visions of what 21st century U.S. should be: a polyglot nation open to the less fortunate or nationalistic nation only open to small numbers of outsiders. It could be argued that the intra-American debate over undocumented/illegal immigrants has little to do with the immigrants themselves. Most Americans know relatively little about them. 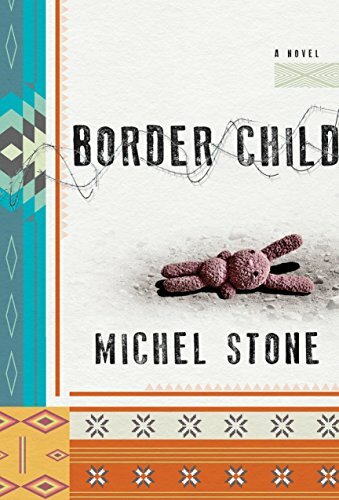 First with The Iguana Tree and now with its sequel, Border Child, Michel Stone gives us a very real lens for understanding the Latino immigrants who come to the U.S. illegally. In preparing herself for these books, Stone conducted numerous interviews with Latino immigrants from which she constructed a young couple, Hector and Lilia. The Iguana Tree describes the illegal crossing into the U.S.; Lilia’s reluctant decision to leave her baby, Alejandra, with a human smuggler; and the couple’s eventual deportation back to Mexico. Border Child begins with the couple unhappily living in their home village of Porto Isadore, in southern Mexico, after their deportation. Hector, resented by his neighbors for not sending home enough money while in the U.S., is shut off from better jobs; Lilia is pregnant again and unable to significantly augment the family’s income. They remain taunted by the loss of Alejandra during the illegal border crossing two years earlier. By happenstance, they see Emanuel—a past boyfriend of Lilia’s—who might know of Alejandra’s whereabouts, and Hector follows him to Acapulco. Border Child unfolds around Hector’s difficult journey back to the border to find their daughter. Pregnant Lilia stays home. Chapters alternate between focusing on these characters, creating alternating narratives of high drama (i.e. Hector’s dangerous journey) and subtle character sketches (Lilia’s village life). Stone educates painlessly and without a soapbox. Her characters are sympathetic but realistic. Poverty in southern Mexico, for example, is neither pitiable nor romanticized. For example, Stone surprises her readers when shady drug runners in Acapulco turn out be smuggling tropical birds, rather than narcotics. Educating the (Norte) American reader appears to be a motivation for Stone. This is likely why Hector comes upon a Central American family traveling north through Mexico on its way to the U.S. border. The poverty and danger that compels them to flee Honduras for the U.S. far surpass what Hector and Lilia face in Porto Isadore. If not for a few deliberate educational meanderings like this, Border Child easily could be mistaken for memoir. Stone’s realistic tone avoids simplistic hero/villain dichotomies. Her economical writing style is more journalistic than literary—and is well suited for this contemporary and highly relevant story. Border Child is a satisfying book on an important topic, and a book that deserves to be read by people on both sides of the immigration debate in the U.S.